Questions? Would you like to reschedule a cleaning or schedule an add-on service? Northern Colorado has been rainy and wet for the past week, and while it may be great for our beautiful outdoor areas — turning everything green and lush — it certainly is not good for our homes, especially for those who own pets. We love our pets, but trying to keep our home clean when everything is wet and muddy is an impossible battle. This past week was rainier than we are used to here in Northern Colorado, and our pets seem to love it. If your floors as covered in muddy paw prints, grass, and those annoying, fluffy dandelion seeds you cannot be more excited for everything to dry up. While keeping your home clean when you have a pet is difficult no matter the weather, the rain certainly hasn’t made it any easier. 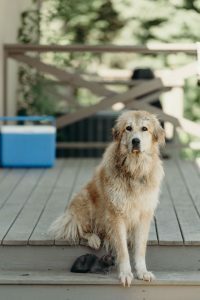 At Clean Bees Homekeepers, we love pets, just take a look at our team page to see for yourself! But no matter how much we love pets, we don’t love the constant mess. If you are struggling to keep your home clean, we can help! 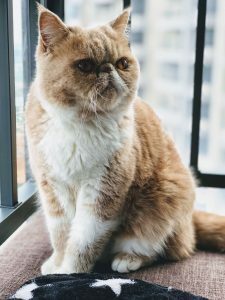 Not only can we offer you one-time or recurring cleaning services to get your home back in shape, but we will also give you tips on how to keep your home clean when you have pets. Read on for great ideas to help keep your home cleaner all year long! Lint rollers are a pet owners best friend. Unless you own a Sphynx cat, popularly known for their hairless bodies, you will be dealing with pet hair everywhere you go. Keep these lint rollers handy. One in every room is certainly not overdoing it. Use these to pick up hair on a daily basis. This can help you keep your furniture, throw pillows, lamp shades, curtains, and other fabric home items clean and pet hair free. Pet hair is one of the most prominent messes a dog or cat makes in your home. While it may not be noticeable to you, since you are around it all the time, it is to all of your guests. Once you start cleaning you will notice the hairballs in every corner, the matted hair in the carpet, and the buildup under furniture. There are many ways to help reduce the amount of dog or cat hair that collects in the corners of your home. Placing sheets in areas where your dog loves to sleep, like the couch, the corner of the kitchen, and even on his own bed, can help to reduce hair. Take these sheets or towels and shake them out regularly to help rid your home of excess hair. Putting a sheet or towel on their bed will even help keep their bed less hairy, which in turn will keep your home less hairy. This will also help keep your furniture free from hair. Dogs and cats should be regularly groomed. Brush your cat or dog to remove any fur before it is shed in your home. This will help keep them beautiful and their coat healthy while your home stays cleaner. Brushing your dog (or outdoor cat) can also help remove any outdoor debris from their coat, including dandelion seeds, grass, dry leaves, and more. This will not only help keep your home clean but also help reduce your allergy symptoms in your home. Dogs can be messy eaters and drinkers, dripping water all over your floors and leaving bits of kibble scattered around the area. While it can seem cute how messy they can be, it is not cute once you realize you have to clean it up. Get a placemat, preferably water resistant, and keep it under the food and water bowl, this will help keep water from ruining your floors and give you the ability to quickly and easily clean up after your messy pup. There are many ways to keep your home cleaner as a pet owner. These are only a few tips! We will continue our list of cleaning tips for pet owners in our next blog as well! So, stay tuned. At Cleaning Bee Homekeepers, we know that having a constantly messy home can get old fast. That is why we are here to help! Contact us to schedule a one-time cleaning or a repeating cleaning service to help keep your home in tip-top shape, even with your furry friend. "Started with a one-time cleaning… that was 7 years ago and I happily haven’t cleaned my own home since!" "They came, they conquered, we sold!" "We’ve been through quite a few janitorial services and were left flustered at best. It wasn’t until we hired Clean Bees that we found exactly what we were looking for: they’re dependable, trustworthy, and the quality of their cleanings is consistently outstanding." "Moving our business was a ginormous undertaking. So many obstacles to work through. On the plus side, Clean Bees handled the cleaning and it was one less thing to worry about." "Finding a dependable cleaning company was always a thorn in our side until we found Clean Bees. Their office team is professional, organized, and has great systems in place. They take the time to get it right and it’s one less thing to worry about."